Two types of lands along rivers and creeks are part of the GHA. The first, is a set of small sites (5 to 10 acres) that will provide recreational access for boaters, paddlers and shore anglers. Rustic campsites accessible from the water are planned for the two larger sites. These sites will provide put-ins and takeouts, access for shore anglers and rustic camping. The second type of river corridor protection will focus on natural resources. Wetlands and floodplain forests that harbor diverse native communities or rare plants and animals along the Lower Bark River, Lower Koshkonong Creek and Allen Creek will be protected. GHA has a variety of water trails. Water trails are recreational waterways on a lake, river or creek between specific points, containing access points for the boating public. 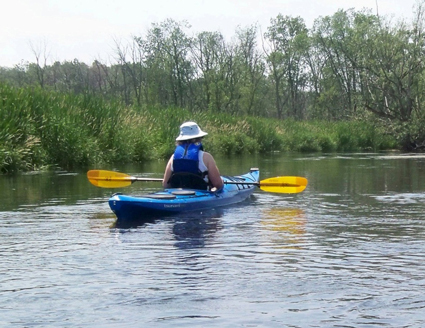 See the Jefferson County Water Trails map and guide.